A jade carving in the form of a goose. The bird turns its head backwards and rests it on its back, showing a dynamic movement. The head is carved in detail with a pointed beak and round eyes. The body is carved in low relief with a simplistic design overall and large wings on each side. Its feet are tucked beneath its body. The stone is perforated with a hole on its back through to the base and is of an even white colour. 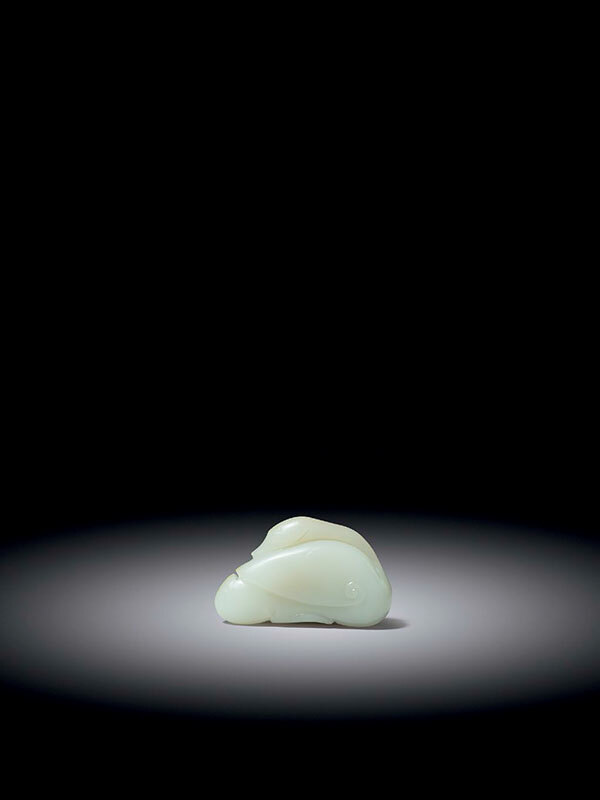 This delicately carved white jade goose is intriguing for its motif and for its simplistic and elegant design. The goose was used in China to identify fourth-rank civil officials from 1528 until 1911. Geese were considered a suitable gift for military leaders since many of their behavioural characteristics (such as the use of sentinels and flight formation) were not dissimilar to those of the military. The drill hole indicates that it was made for wearing as a pendant; examples of such pendants exist earlier in the Song and Yuan dynasties. A slightly smaller Song dynasty (c. 12th -13th centuries) jade goose in similar crouching posture is in the collection of the National Palace Museum, Taipei. A small Yuan dynasty (1279 – 1368) jade goose, excavated from the Fahua Pagoda at Jiading, Shanghai, is in the collection of the Shanghai Commission for Preservation of Ancient Monuments. 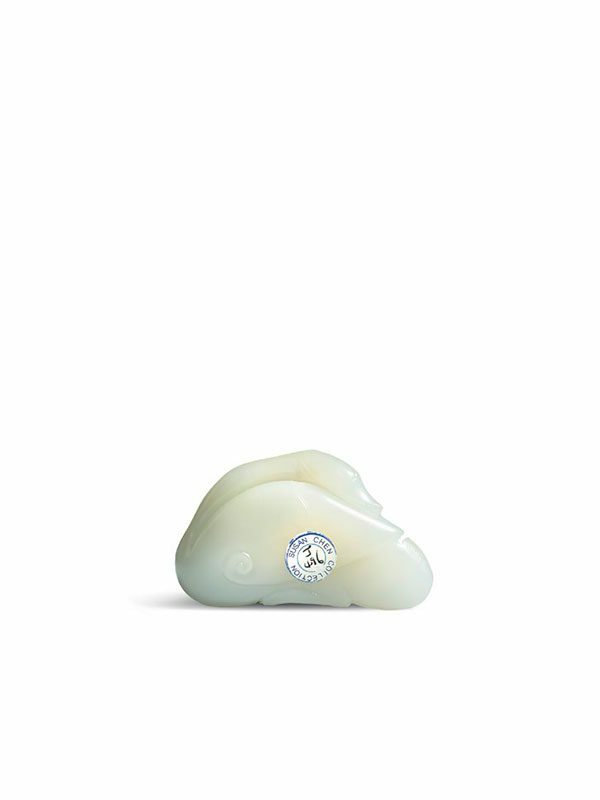 A Qing dynasty white jade goose with some russet inclusions, slightly smaller in size but closely comparable in shape and posture, is in the collection of the National Palace Museum, Taipei. The latter jade goose is stored in a Qing Court imperial ‘treasure box’, together with other miniature objects. A slightly larger Qing dynasty celadon jade goose, comparable in the crouching posture, was also in the Qing Court collection and is now in the collection of the Palace Museum, Beijing.